Many sons follow in their father’s footsteps – few, however, surpass the achievements of their forbearers. 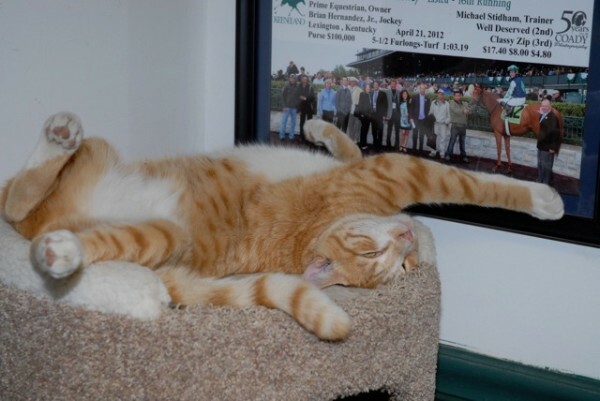 But that’s exactly what Mike Stidham has done during his near thirty-six year stint as one of North America’s most successful and respected racehorse trainers. 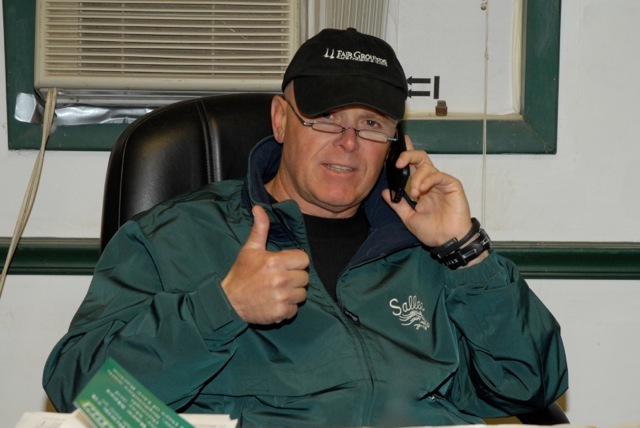 Stidham was born on December 18, 1957, in Neptune, New Jersey, into a family steeped in racing lore. His father, George, was a journeyman jockey who rode up and down the East Coast. When he hung up his boots for the final time, George became business manager and part-time agent to his good friend Bill Hartak. From an early age, Stidham junior showed that his father’s racing DNA was firmly stamped into his own, and when George finally set up training in his own right in the 70’s, his son, when not at school, could be found around the barn of a morning and afternoon, walking hots, rolling bandages – watching and observing his father. Stidham didn’t always harbor ambitions of training, however. For a period, he wanted to become a veterinary surgeon, and he spent a couple of years at college in preparation to become just that. The lure of the track, however, proved irresistible, and he eventually left college to assist his father at his barn at Gulfstream park in South Florida. Then, at the tender age of 21 and armed with a small string of cast-offs from his father, Stidham took out his own trainers license and headed to the Gulf Coast. Success came thick and fast. He sent out his first winner in 1979, while only a year later, he sent out his first stake winner: Me Good Man in the Independence Stakes at Louisiana Downs in 1980. His rapid ascent up the ladder didn’t go unnoticed, and that same year, when Stidham headed west to California, he trained for Elmendorf Farm when it was owned by Max Gluck. Stidham spent two years in California before being head-hunted by the LaCroix family’s Meadowbrook Farm to work as their private trainer – a position that necessitated a return to Florida. Stidham has been a public trainer now for over thirty years, during which time he has accrued a number of momentous milestones – solidifying in the process his reputation as one of the nation’s shrewdest handlers. He sent out his first graded stakes winner in 1988, when Manzotti won the Grade III John B. Campbell Handicap (one of three graded stake victories that year for the horse). Stidham had to wait only a further six years for his first top-flight victory: Two Altazano in the 1994 Coaching Club American Oaks. On February 1, 1998, Stidham saddled his 1000th winner when Exoteric won at Sam Houston Park. 2011 proved to be a seminal one for Stidham when he sent out a total of 13 stake winners throughout the year – a handsome total that included four graded stakes. Stidham now conditions a string of around 70 horses that he races around the nation from his two major bases at Fair Grounds in Louisiana during the winter and Arlington Park in Chicago in the summer. He has three daughters: Stephanie, Samantha and Camille.